Washington and Lee University’s Chanoyu Tea Society will host their annual Martin Luther King Jr. tea ceremony on Jan. 21 in the Senshin’an Tea Room, Watson Pavilion. The tea ceremony will include seatings at 1:30 p.m., 2 p.m. and 2:30 p.m. The ceremony is free and open to the public. Free tickets for each seating will be available starting Jan. 7 and must be picked up at the Reeves Center between 9 a.m. – 4 p.m. Monday through Friday. Seats are limited. Students will be serving traditional Japanese sweets and making tea using the open hearth in the tearoom. The scroll for this special occasion has the character for “Dream,” which will be the group’s unifying theme. The tea will be “crane themed” to symbolize peace and unity, and will reflect on the meaning of “wa kei sei jaku” (harmony, respect, purity and tranquillity). 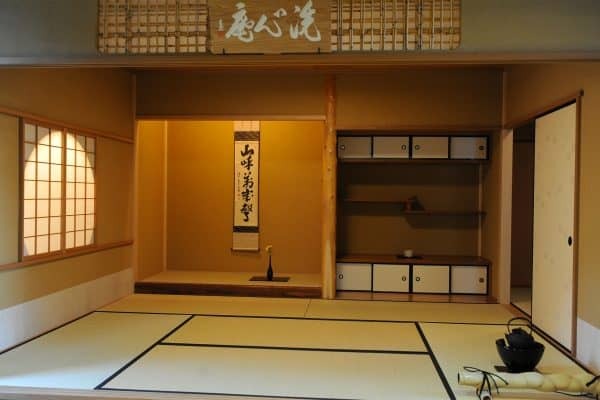 Chanoyu Tea Society is a student organization consisting of students who express an interest in the art of the Japanese tea ceremony and wish to pursue their study of the ceremony in the Senshin’an (Clearing-the-Mind Abode) Tea Room. The group aims to increase exposure of the Japanese tea ceremony and Japanese culture to the W&L community and the surrounding area by hosting public tea demonstrations. For tickets contact Cassie Ivey at 540-458-8476 or reevescenter@wlu.edu.